Considerable cloudiness. A stray severe thunderstorm is possible. Low 47F. Winds WSW at 10 to 20 mph.. Considerable cloudiness. A stray severe thunderstorm is possible. Low 47F. Winds WSW at 10 to 20 mph. In hopes that the third time will be the charm, the Milton School District will go to referendum again April 2. The school board unanimously approved placing a $59.9 million referendum on the ballot Monday at a packed meeting that drew at least 50 people. The referendum calls for additions and renovations to nearly every district school; additions to the high school’s technical education areas, STEM classrooms and gymnasium; a new high school pool; and district maintenance. If the referendum passes, it will increase the district’s tax rate by an estimated $1.64 for an annual increase of $164 per year per $100,000 of property value if the debt is paid off in 20 years, according to district documents. The tax rate impact will shrink if the board chooses to finance the debt over a longer period of time. The $69.9 million referendum that failed in 2017 would have increased the tax rate by $1.46 with a 26-year loan. This will be the district’s third try to pass a referendum since 2016. Both failed referendums included building a new high school. 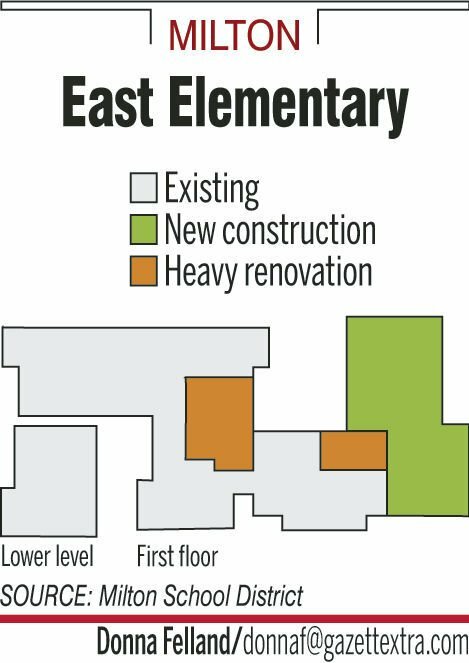 Board members said they hope the lack of a new high school in this year’s referendum will be the key to addressing the district’s facilities needs. Board member Brian Kvapil voiced concerns before voting “yes,” saying he hoped for a lower tax impact and was unclear on what would happen to excess money if projects cost less than estimated. Kvapil said the referendum was “not perfect,” but he was willing to present it to voters to get their opinions. The board will decide what will happen to any money that might be left over, Schigur said. “This is nothing short of awesome,” he said. In what might be a first in recent school board history, the referendum was not the hottest topic among residents Monday night. The board also discussed the future of the high school pool, which is slated to close by March 1 because of a failing HVAC system and other problems. If the referendum passes, the district will build a new pool, but it will take a few years to build, Schigur said. The district could repair the existing pool to bridge the gap, but planning would have to start now to get it operational for next school year, Schigur said. The existing pool would be refurbished into new space as part of the referendum, which means the HVAC system and other fixes would have to happen no matter what. They are already budgeted for in the referendum. At a special meeting last week, the board asked district staff to present minimum costs to keep the pool open during construction. Ramaker & Associates, a firm that studied the pool’s needs last June, determined it would cost an estimated $881,595 to keep the pool afloat for a few years. Of that cost, $110,000 would go toward projects that would be unnecessary when the district repurposes the space. Much of the cost covers projects that need to be done regardless and are budgeted for in the referendum, Schigur said. Most board members except Kvapil agreed that they didn’t like investing in a pool that eventually would be replaced. But they thought the cost of repairs was minimal compared to the community impact if the pool closed for a few years. Most residents who packed the Milton High School library Monday appeared to support the pool. Nine people spoke during public comment. Lance Fena was the only person who did not directly support the pool, urging the board to be fiscally responsible for taxpayers. Other speakers urged the board to do whatever was needed to keep the pool running, including 9-year-old Milton Marlins swimmer Macy Falkavage, who gave an impassioned speech. The board scheduled a special meeting for 6:30 p.m. Wednesday to take action on the pool. 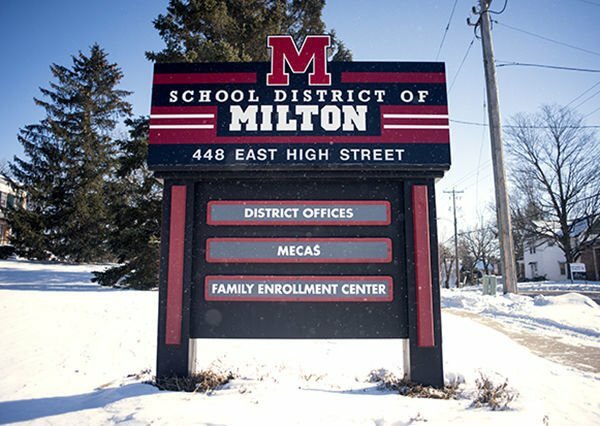 Any school district wondering how not to plan for the future should consider the pending closure of the Milton High School pool.